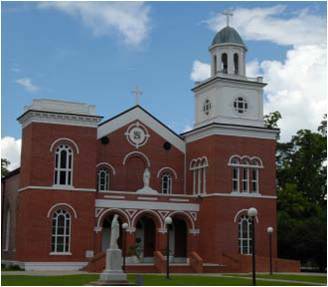 Then the French explorers came through Assumption Parish in the early eighteenth century, they found a variety of Native American tribes. The largest of these were the Chitimacha Tribe, which is thought to have been one of the leading Louisiana tribes in 1700. By the mid 1800’s, the Indians were nearly gone from Assumption Parish. European settlers, primarily French and Spanish, had replaced them. Today, mounds on Lake Verret are believed to be Chitimacha burial places. In 1861, sugar cane became the principal crop grown in Assumption Parish. Since then, most soils in the parish not prone to flooding have been used for the production of sugar cane. Today, Assumption Parish remains an important sugar cane producing parish. Large farms or plantations have kept sugar in production for generations. Antebellum homes such as the beautifully-preserved Madewood Plantation are a reminder of life in 18th century Assumption Parish.